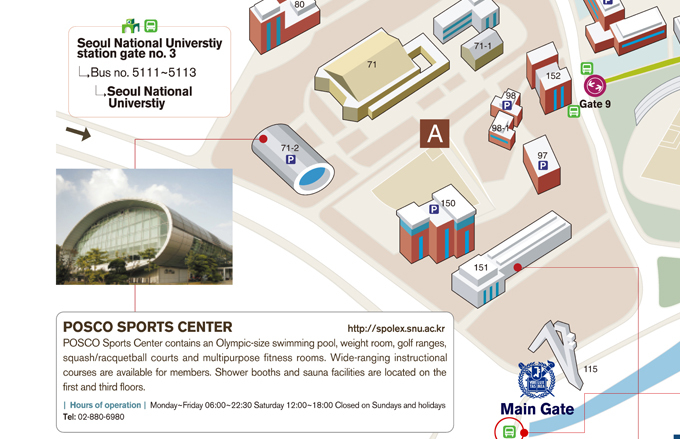 POSCO Sports Center has a swimming pool, weight room, golf ranges, squash/racquetball courts and multipurpose fitness rooms. All participants who attend STATPHYS25 may use the facilities, but will be required to carry the STATPHYS25 name badge to do so. Accompanying persons may use the sports center, but only in companion with STATPHYS25 badge-carrying participants. There is no restriction on the number of accompanying persons. Note some activities below require a fee. 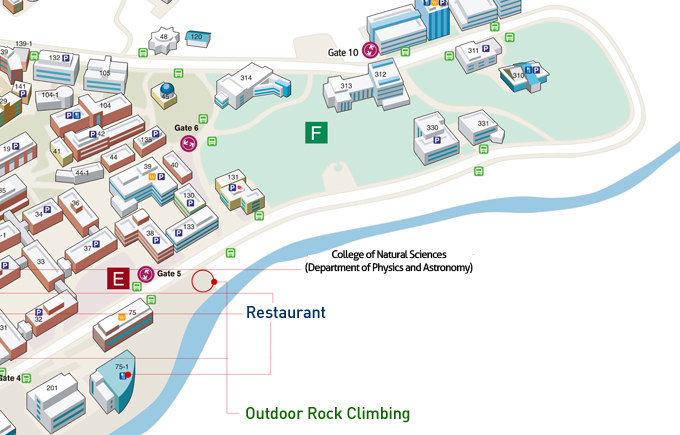 All participants and accompanying persons may use the climbing walls at Seoul National University. Suitable shoes and equipment are required. There is no charge for utilization. STATPHYS25 participants are encouraged to visit these on-campus sites displaying the national treasures of Korea. 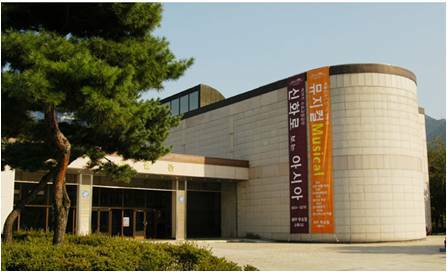 The Kyujanggak Institute for Korean Studies operates an exhibition gallery, displaying 260,000 items, such as The Annals of Joseon Dynasty and the Diary of the Office of Royal Secretaries, both designated UNESCO World Documentary Heritages. Note: All programs are on first-come-first-served basis. English/Korean tour is available for groups of 50 people. With over 7,200 rare metal artifacts, gems, paintings and pieces of art, the Museum is a treasure trove of Korean history and rare objects of art. Note: All programs are on first-come-first-served basis. There is 100 people limit per tour.